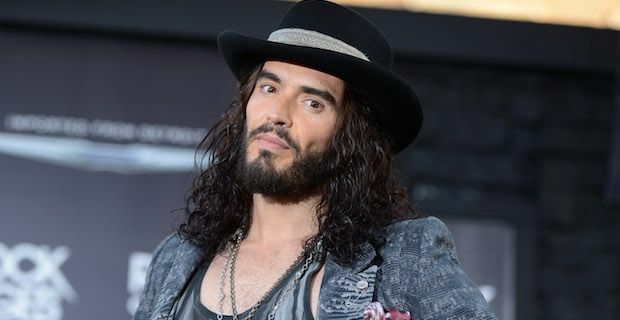 BBC has announced that Russell Brand and Nigel Farage are set to debate on Question Time in Canterbury on December 11th. Labour's shadow international development secretary Mary Creagh is also set to appear alongside them along with a number of other panelists that have yet to be announced. The show, which is hosted by David Dimbleby, will see the UKIP leader take on comedian and actor Brand in what is sure to be a fire and brimstone type discussion. Brand is as far on the left-wing as one could be and he actively campaigns for social issues that resonate with him. This most recently included joining a protest outside 10 Downing Street over a dearth of social housing in the UK at present. Brand has been known in the past to refer to Farage as "the racist fellow" and it seems like it will be pretty difficult for him to agree with any point of view that the right-wing UKIP leader puts forward. Farage did however, in a recent newspaper article, seem to soften on his view of Brand saying that the two men are "driven by the same innate passion to see radical change in our politics" despite Brand often "speaking in riddles". This will be Farage's 11th appearance on Question Time so whatever form Brand is in he should be well able for it. It will be Brand's second time on the show after an appearance last year where he strongly challenged London Mayor Boris Johnson defence of the banking system saying bankers "behave in this rampaging manner while ordinary people continue to suffer? I think that we need to need to see punitive measures immediately employed so that it doesn't continue to recur." Brand has a history of making big impressions when he appears on TV and no more so when somebody decides to try and argue against something he believes strongly in. Back in March he even popped up on Match of The Day in aid of Sport Relief where he was given a hard time over Manchester United's defeat of his favourite club West Ham. Nick Clegg v Nigel Farage: Who won the European Debate?